I was kind of dreading this day -- but it has come. 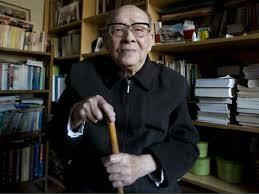 The father of pinyin, Zhou Youguang, has died at the age of 111. He died this afternoon (Saturday), a day after his birthday in Beijing. It's pretty amazing he lived this long, and I suspect it was keeping his mind active that kept him going. He was born in 1906 during the Qing Dynasty and as a young man he lived and worked in the United States as a Wall Street banker. When the Communists took over in 1949, Zhou returned and was tasked with creating a new writing system using the Roman alphabet. "We spent three years developing pinyin. People made fun of us, joking that it had taken us a long time to deal with just 26 letters, he recalled to the BBC in 2012. However, it has helped millions of people, including me, to learn how to pronounce words in Putonghua properly. It is now widely used on phone apps to help people communicate. They can type in the pinyin and from there choose the Chinese character they need. Developing the pinyin system helped protect Zhou from Mao's political purges, but eventually Zhou was sent down to the countryside for re-education during the Cultural Revolution. As he became older he grew more critical and outspoken about the present day Communist Party and wrote several articles and books that were banned. In an interview with NPR in 2011, Zhou said he hoped to live long enough to see the Chinese authorities admit the bloody crackdown on pro-democracy protesters around Tiananmen Square in June 1989 was a mistake. Wishful thinking on Zhou's part. He added that most ordinary people did not believe in the Communist Party, and that the vast majority of Chinese intellectuals favoured democracy. Beijing can probably breathe a sigh of relief that another one of its critics has passed. They couldn't do much to Zhou considering his immense contribution to the country, but we hope he will see justice in the end. I wrote a blog post about him when I was in Beijing. One of my colleagues at the time went to visit him and told me later she thought he was a wonderful, sweet man. 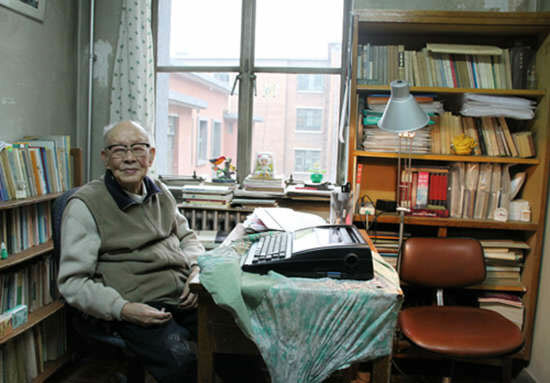 He wasn't a typical Chinese elder who towed the party line, but instead had a lot of interesting things to say about a wide range of subjects. Thank you Mr Zhou for creating a writing system that has made Chinese more accessible to so many people and in so many ways.